As a follow up to our beloved short FABRIC BIKE.... from the back alleys of Toronto we bring you our next project PAINT BIKE! (Creative with the names no?) Major thanks to our pals Jesse Bennett & Thomas Dagg for helping us film, to Nathan, Sonny, Adam, Tom & Sara for their guest appearances, and to all our friends for generally being rad & supportive. Enjoy! 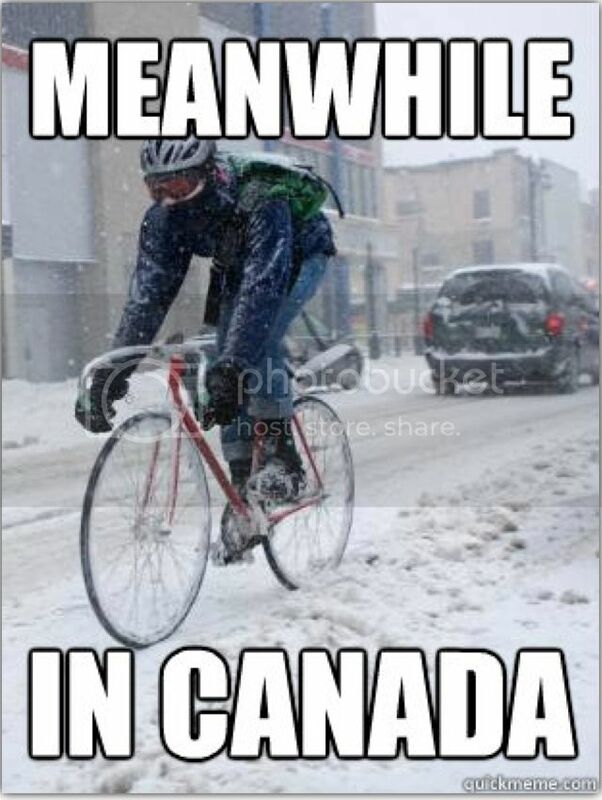 Meanwhile in Canada: Winter Biking FTW! We present to you three big winter biking events for y'all in Toronto who miss the glorious scene of the summer, when cyclists take over the city in pure fabulousness. 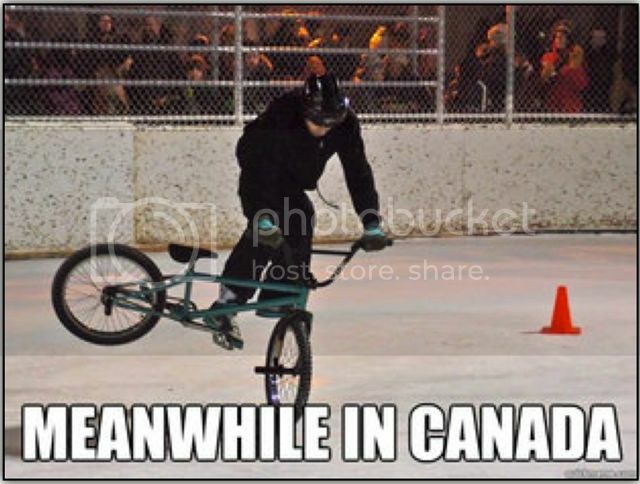 In winter Toronto rocks hard at winter biking, so come one, come all and lets have some fun! Tomorrow!!! It's The Coldest Day of the Year Ride put on by Cycle Toronto! (What's with these last minute posts, right?... jezz...) Meet at 12 noon on Wed Jan 30 at Armoury St. and Chestnut St, just behind City Hall. (see map). Big ups to Jo No for the video and pictures. 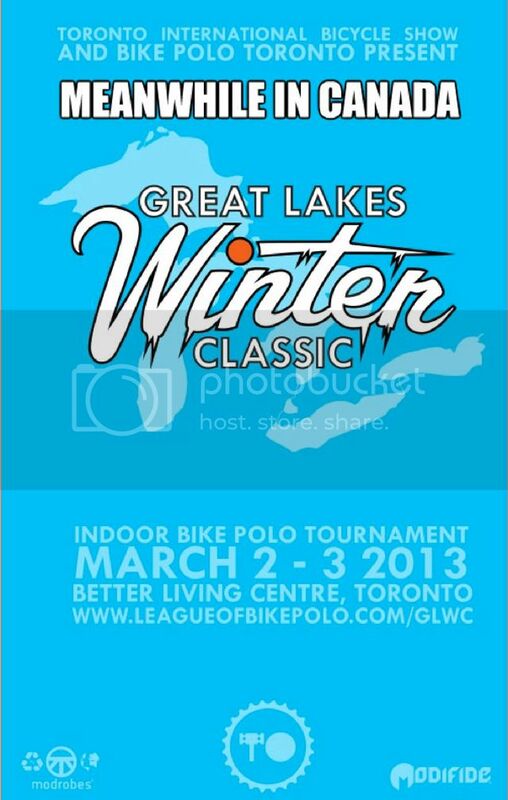 And then we have a The Great Lakes Winter Classic polo tournament going on during the Toronto International Bike Show, March 2 & 3, 2013. Keep Checking out the Bike Polo TO website for information as she comes. 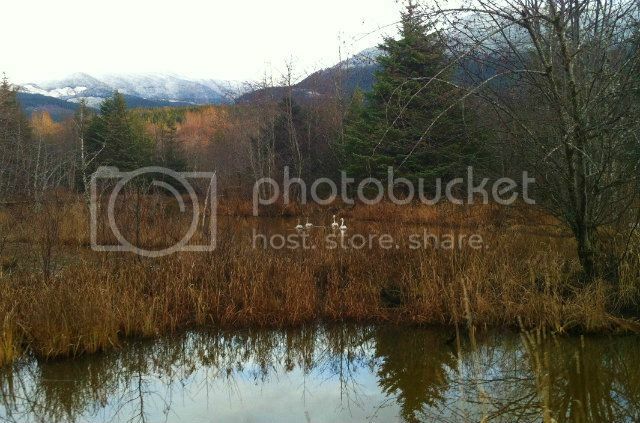 HMPL Winter from Matthew on Vimeo. Ontario Cyclists- Speak up for your streets! One day to go! Hey, Rob Ford may still be at Toronto City Hall, but in remembering he is only one man in a large democracy, lets all take the time to participate in this call to action by Cycle Toronto. If we can get the provincial government on board backing better cycling infrastructure, then the Fords anti-cycling slant gets CRUSHED. Let's do this- now! Deadline is Tuesday, January 29th, 2013! On Nov 30, 2012, the Ministry of Transportation (MTO) released its Draft Cycling Strategy. It's the first provincial bike policy update in 20 years! We're encouraged to see the provincial government taking action to improve cycling infrastructure and better educate all road users. The Draft Cycling Strategy is a response in large part to the Coroner's Review of Provincial Cycling Deaths released in June 2012. The MTO is reviewing the Coroner's recommendations and we need you to tell them how important a provincial Complete Streets policy and lowered speed limits are to you. We need a specific funding commitment with realistic and achievable timelines. We also want the MTO to focus on helmet promotion rather than mandatory helmets, create a new definition for e-bikes, adopt the one-metre rule and make sideguards mandatory for heavy trucks. The Strategy signals a growing recognition by the Province of the role cycling plays in easing congestion, achieving daily requirements for physical activity, reducing greenhouse gas emissions and increasing economic development opportunities. This is our opportunity to influence its development. Submit your comments before Tuesday! Cycle Toronto’s on-going advocacy efforts aren't possible without you. Renew your membership or make a donation today to support our work. Also, if you missed it, Ontario Physicians are calling for more bike lanes, STAT. Last year I attended the Ontario Cycling Summit in Toronto, which was sponsored by many levels of government, including Health Canada. In a presentation, I was stunned as I watched a presentation on Ontario's projected healthcare costs due to sedentary lifestyle diseases such as diabetes and stroke, which are set to explode within 15 years. In a cartoon the upward red line would have broken through the page and shattered the ceiling. It's going to be not only a lifestyle epidemic, but a health care crisis due to straining of funds. So if you are trying to convince people to support cycling infrastructure, tell them Doctors and Economists are calling for this due to the very real possibility that car-culture is going to bankrupt this province by 2030. So Mr. Ford, since you claim to want to run this city like a business, I suggest you act like a CFO and do something about the fiscal future of your Province and City- now. Blog TO - The Make Den is nominated for Best DIY Workspace in Toronto! It's nice to get noticed! Laura Adams from Blog TO wrote a great article about us recently and I'm happy to report that I don't sound like a complete tool in it. 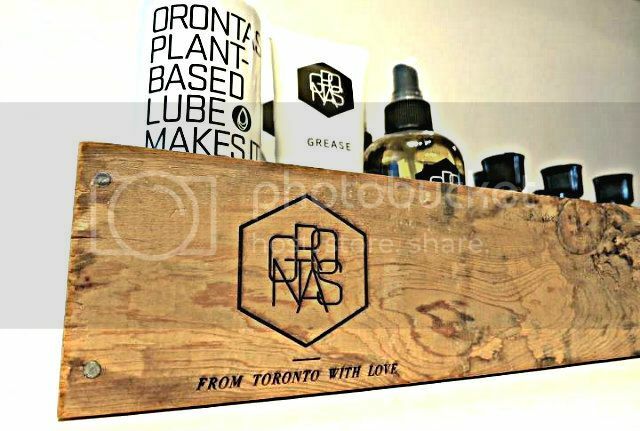 Even more recently, Blog TO nominated us for "Best DIY workspace in Toronto", which we are SO honoured to even be mentioned on!! You can vote here until Saturday. Go vote because obviously we're buying everyone beer if we win!! Some of the interview is below, along with a few photos. The Make Den Sewing Studio recently relocated from within 69 Vintage Collective to a new location at 1244 Bloor Street West, providing a bright and crafty addition to Bloordale's streetscape. With its robin's egg blue walls and ruffled party dress in the window, I couldn't resist popping in one dark winter evening to learn more about what this sewing and design school has to offer. Founded in 2010, The Make Den offers sewing and design classes, workshops, and camps for all levels: from absolute beginners (like yours truly), to intermediate students looking to sharpen their skills, to aspiring designers applying to competitive fashion programs at institutions like Ryerson University, Parsons in New York City, and Central Saint Martins in London. The Make Den's owner, Irene Stickney, has a passion for teaching students of all levels that is infectious and heartfelt. For those pursuing sewing as a hobby--about 75% of her students--The Make Den provides an outlet to explore their creative side, which is often not fulfilled in their day jobs. Irene loves helping these students create new things, have fun, and acquire a life-long skill. Rob Ford's appeal verdict will be released tomorrow at 10:30 am. Who else is nervous with anticipation? (If he gets kicked out, does anyone want to do a mashup Lance Armstrong/Rob Ford ride for kicks?) One thing our fearless leader never seemed to talk about was actual job creation or bringing back manufacturing to Toronto. Production and manufacturing jobs would be super useful to the city. Did you know Toronto was once the 3rd largest apparel manufacturing city in North America? In this city we can't all be marketing account executives, restaurant owners, bankers and real estate lawyers. This city needs a diverse job portfolio. There is also a global market shift that is making overseas production less and less affordable, along with quality control harder and more expensive to manage. When politicians fail to be visionary and lead, and they usually do, it's young entrepreneurs that lead the way. Despite little to no support in regards to manufacturing from the city, Toronto is teaming with talented, productive hands. The Deadly Nightshade's past Style Spins were in celebration of local artisans and fashion and apparel producers. (Did you see us in the Toronto Star or the BBC?). The Deadly Nightshades are included in that category; Cat Essiambre has her own Seafoam Apparel Production Agency, Laura works with YNOT, Irene is the Queen of The Make Den, and Patricia is talented production gun for hire. The ever talented local Toronto unisex brand Muttonhead Collective was featured in last week's Grid TO. The article is a great read about the surviving production industry around Sterling Road at Landsdown and Bloor. Fittingly, this area was the location for 2012 Toronto Alternative Fashion Week. Muttonhead celebrates modern Canadiana right, through aesthetics and production methods. They are bound for success. from organic cotton,” she says. Muttonhead Collective is having an amazing end of season sale. Check it out! The Deadly Nightshades have only one rule: Don't Die. Basically any other suggestions we have stem from Rule #1. 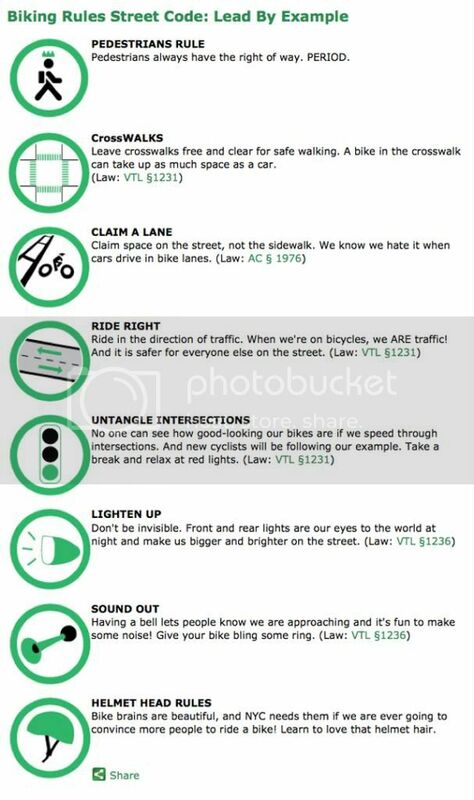 These Biking Rules Street Code from NYC's Transportation Alternatives are all about leading by example. Leading by example is pretty much the best system to help create a pleasant cycling culture in any city, AND help anyone adhere to Rule #1. There are a few things in there that could be argued- going against traffic on small one way streets can be much safer then riding with traffic on very busy streets. While helmets are awesome and DNS is in full support of protecting your central processing system with a brain bucket, helmet laws can actually prevent people from riding, and that's lame. Everything else is pretty much spot on. Since being back in Toronto I've actually been shocked at the lack of bike lights in this city. Vancouver can get so dark you end up needing lights just to see where you are going. In Toronto we have so much light pollution visibility isn't as dire, but lights in traffic are a great way to follow DNS Rule #1. You may not realize how vulnerable you actually are until you yourself are in a car or bus and are surprised by a cyclist without a light. Check out Cycle Toronto's Get Lit! program for more info. Cyclists have a bad rep for causing bike accidents. (If you have Linkedin you can read this bizarre thread on Ghost Bikes and the odd turn it takes.) This is basically a BS perception based on... I'm not too sure. A few bad bike eggs? Car drivers not wanting to take responsibility? It's well known that when you demonize a group of people it makes it easier for someone to justify suppressing or hurting that group, as they become the dangerous "others". Old-as-time tactic in warfare. Gross, right? When campaigning for change, it's important to not take on the tactics of what you are trying to change. Albert Einsteing put it best: "We can't solve problems by using the same kind of thinking we used when we created them." There is definitely a demonetization of drivers in the cycling world. 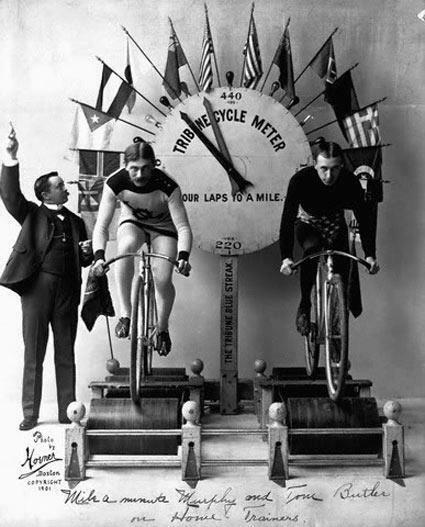 In return all individual cyclists can also be lumped into one big cyclist category. So let's drop it. It won't get us anywhere. Dave Meslin did a great piece of advocacy campaign called Drivers for Jarvis based on the misconception that in the streets it's "drivers" vs. "cyclists". I digress. Leading by example is awesome. So is changing misconceptions, and breaking down walls. Let's make this city work for everyone so we can get down to more pressing issues like the latest nail art trends, feasting with friends and dance parties. Orontas is a rad cycling brand out of Toronto. They love this city, bikes and smart design as much as we do. Naturally we've become Besties. 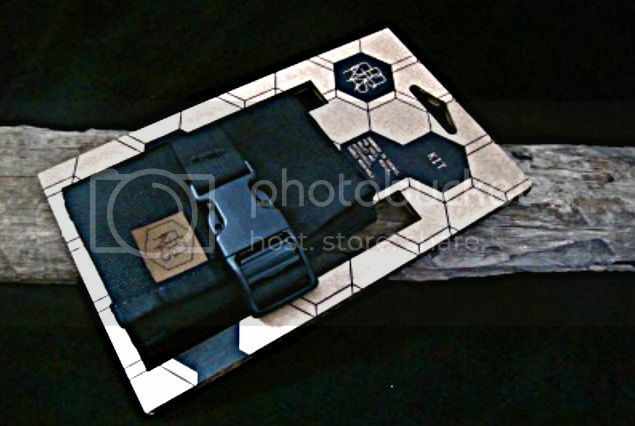 They even partnered up and did these amazing Orontas Kit Saddle Bag with YNOT. We're one of the few who get to be Orontas Activists, meaning we do rad stuff so they give us product to try out. They profiled our crew on their website. If you want to know why the Deadly Nightshades are like the Wu-Tang and what is our world takeover plot, you should go mosey on over and read it already. Bonus: photo montages of what we ladies of DNS have been up to these past years. Torontonians take brunch very, very seriously. I think this article by on Kate Carraway in the Gird TO sums up the luxurious booze-hound ritual that perhaps fuels 14% of all of the city's economy (by my calculations.) Then we have cyclists who take food very, very seriously. 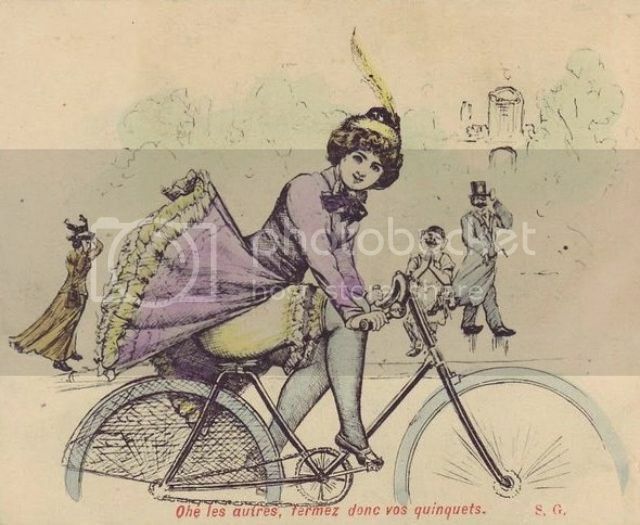 It's the main benefit of slightly endangering your life everyday in the urban cycling environment; eating whatever you want and still having a fantastic bootay. It's worth it. Trust me. Single or double Caesar? Who I am kidding. Should I have hollandaise sauce? Yes. Should I ask for extra hollandaise? Is that my ex's ex cuddling with my ex's old co-worker in that other booth? OMG food here me starving... Om nom nom nom... more butter.... om nom nom... I wonder who wants to go for a pastry at that new gluten free bakery down the street? 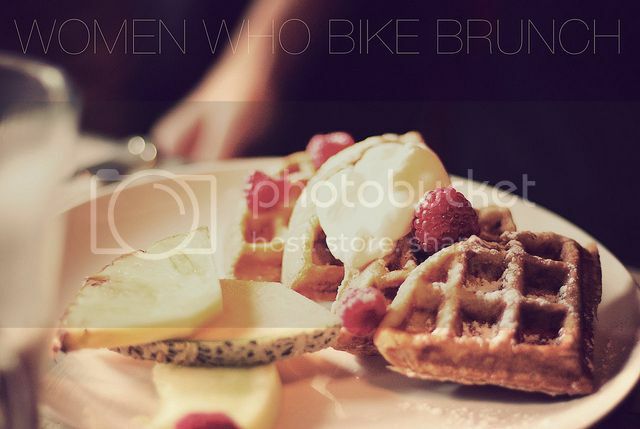 So I am happy The Toronto Cupcake Ride is putting on a Women Who Bike Brunch, on Sunday, February 24th. I'm hoping they choose a location that is cute, uses local ingredients and organic eggs, and makes a good Caesar, and is only about 10 minute bike from my house. 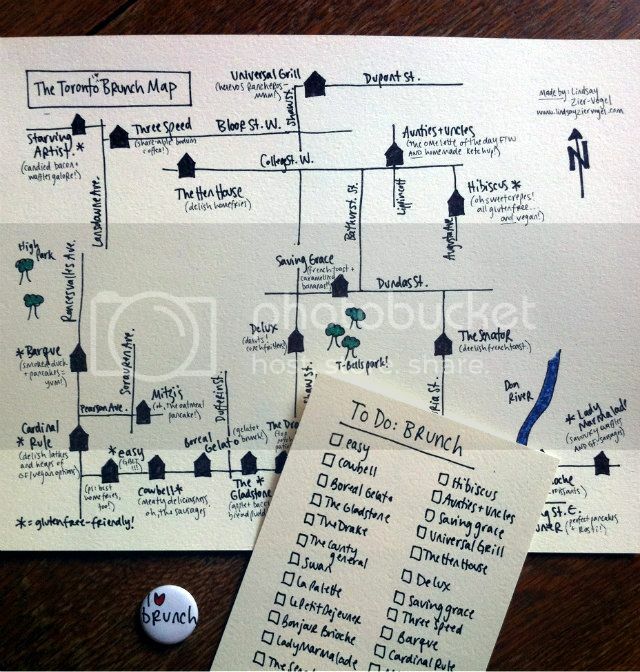 Maybe we can pick from this lovely Toronto Brunch Map by Lindsay Zier Moguel. 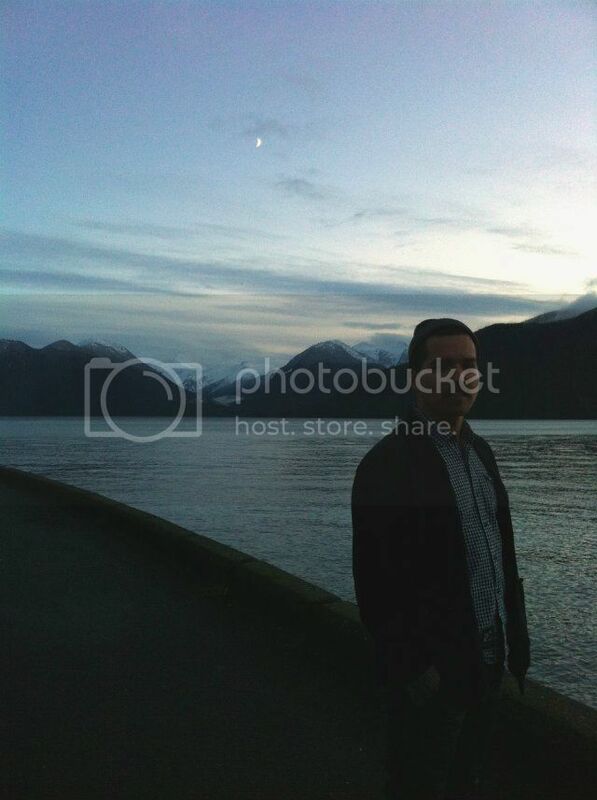 Before I left BC, I had the opportunity to go up to beautiful Prince Rupert to visit my friend Cody Brown. I met him through the awesome young East Van bike scene; I helped out his collective house make a memorial to dead bikes for the Parade of Lost Souls. He's rad. He was willing to help me learn the tricks of riding fixed and we share a love for the colour purple so naturally we became besties. Cody is also Nisga'a, and last year moved back home for some of the more lucrative electrician jobs he could get up north, and also to learn more about himself and his people's way of life. I missed Cody and wanted to see the wilds of Northern BC before I left for the Big Dirty, so I went. I loved my visit. 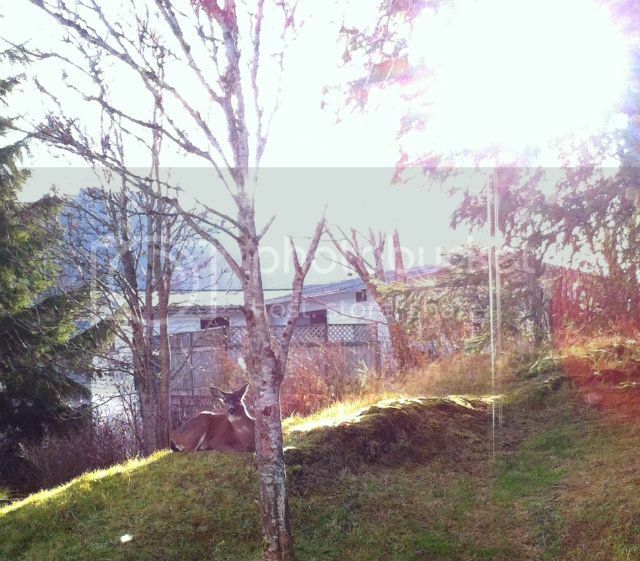 Prince Rupert is a very beautiful and tranquil place. 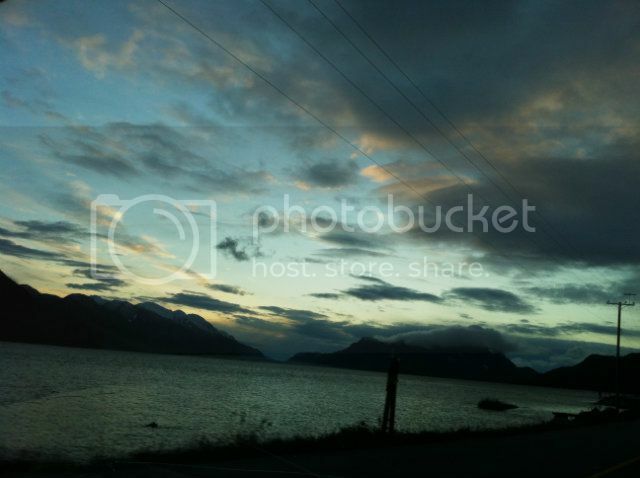 The mountains are giant, the rivers long and wide, the sky large and awe inspiring. The air is nothing like what I am breathing here in Toronto. 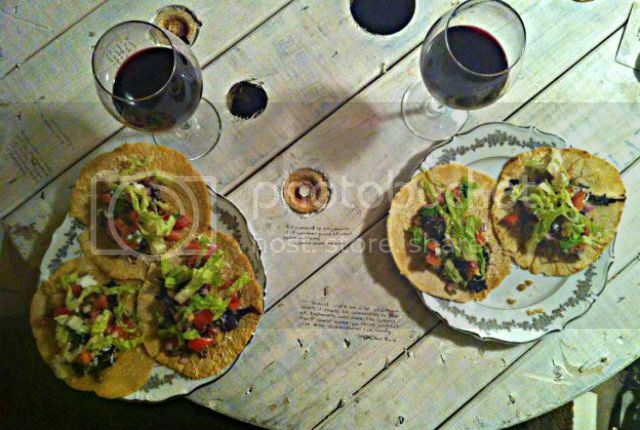 Everyday we ate salmon Cody and his Grandfather caught and even turned smoked sea lion into gourmet tacos. How hipster, right? Fishing in the area makes up a huge part of the economy, but is also a way for people to have nutritious food inexpensively. The community lives off the rivers in many ways. My trip really hit it home- if Canadian rivers are poisoned by oil, mining or construction, not only is the Nisga'a way of life compromised, but so are the lives the lives of the 120,000 Canadians fishery workers who bring in $5 Billion dollars a year. If the fish are gone or inedible, then what will the cost be to society, forced to pay much more for non-local food? More importantly, the majority of the community doesn't want the proposed "Northern Gateway" pipeline and mining development, not just first nation communities or hippies. Ottawa, Calgary and China should not have ultimate say in how BC coastal communities run themselves, it doesn't seem very fair to me. I met a man in Prince Rupert who had been working in oil, gas and mining for 20 years. (The area does sustain itself in natural resource extraction already.) He said about the pipeline: "The proposal is the stupidest, worst planned proposal I have ever seen with my own two eyes." The proposals put natural gas refineries where the fish spawn, and there is no contingency plan for Tsunamis or Earthquakes- in a geographically active area. The same week as Hurricane Sandy in NYC, northern Haida Gawaii had an earth quake of 7.7 magnitude. Imagine the next big one does create a Tsunami. Imagine there are dozens of oil tankers in the area, along with pipelines that can burst. 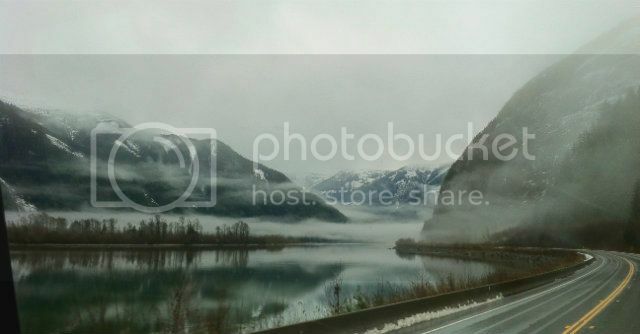 This is more of a proposed Northern Gateway to Hell. Then I met a group of guys at a bar in neighbouring Terrace who worked in mining and bragged about their drinking and cocaine habits... like, while ON the job. Great. Glad they make so much money polluting rivers. Glad we're putting all this federal monetary effort into basically helping the drug cartels. This is great for the health of the Canadian Economy I'm sure. Forcing any community to accept the proposed pipeline plans is just simply jerky thing to do. It's not right. When will our governments stand up and do the right thing? Here is a beautiful video by Above on the Sacred Headwaters featuring Summer Rayne Oakes, model and entrepreneur. For any fashion designers out there, her company Source4Style is one of the most progressive ways to source fabric on the internet. We're winning, by the way. Shell has pulled out of the Sacred Headwaters, the proposed pipelines are being blocked on all three levels of Govenrments, and #IdleNoMore is creating an international solidarity movement. So lets keep it going. I'm going to keep riding my bike, buying local and independent, avoiding plastics and reducing my consumption. Why? I like democracy, human rights, water, food and oxygen, I use all that stuff like everyday. PIRATES' PARTIES ARE ALWAYS FUN! Tired of biking outside in snowy weather? Patrick Shas and Tom Sands are having a fundraising party at Bike Pirates in support of completion of their newest bike documentary "I Bike Toronto"
The evening will begin with a screening of the pilot of their film and the film "Ghost Bikes", a short about ghost bikes in Toronto. Following the films will be friendly Goldsprints! Race your friends and show off your skills in the warmth of the indoors! 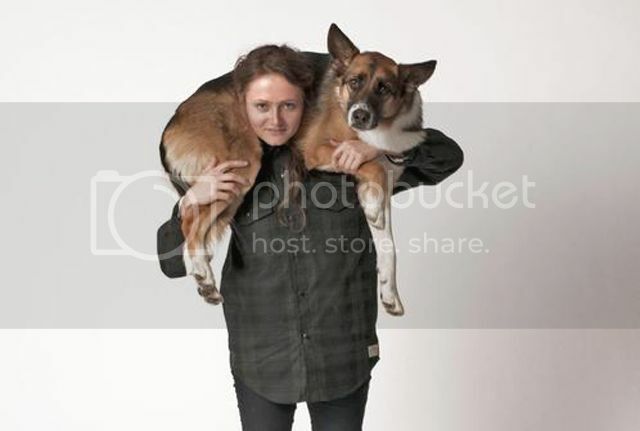 DJ Levesque and Dragon Scorpion's own DJ Puppies will be spinning tunes for your Goldsprints enjoyment. Beverages will be available in the kitchen to help support Tom and Patrick's full length documentary endeavours.